Linked lists are still useful even in the world of auto-extending arrays: for effective memory management and simpler threading. The first part of this webcast talk describes how to implement generic linked-list containers using Perl syntax; the second portion shows an efficient Object-oriented list manager that avoids the most common pitfalls of OO linked lists. 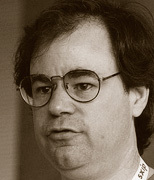 Steven Lembark is a consultant working with ETL and automation code.